Despite being mainly a kit lens, the Olympus 14-45mm has a lot going for it. A new multi-coating helps keep ghosting and flare to a minimum, while an aspherical element adds to the quality. Sharpness proved good throughout the zoom range, even at close quarters down to the minimum focus distance of 0.38m. Autofocus is fast and quiet and the absence of on-lens controls means you have to dive into the camera's settings to switch between Auto and Manual focusing. While the optics are good, as with most kit lenses, the Olympus is built down to a price. For example, focus distance information isn't provided and the lens has a slightly plasticky feel. 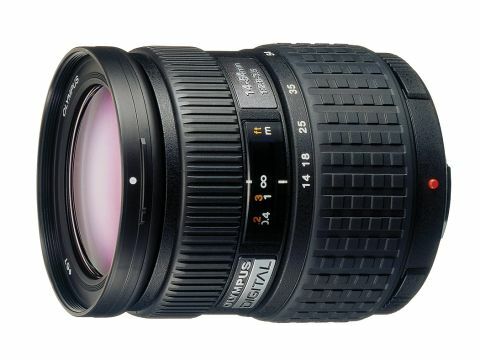 On balance, this is a decent lens, but won't set your photography alight.